rather than two examples before. 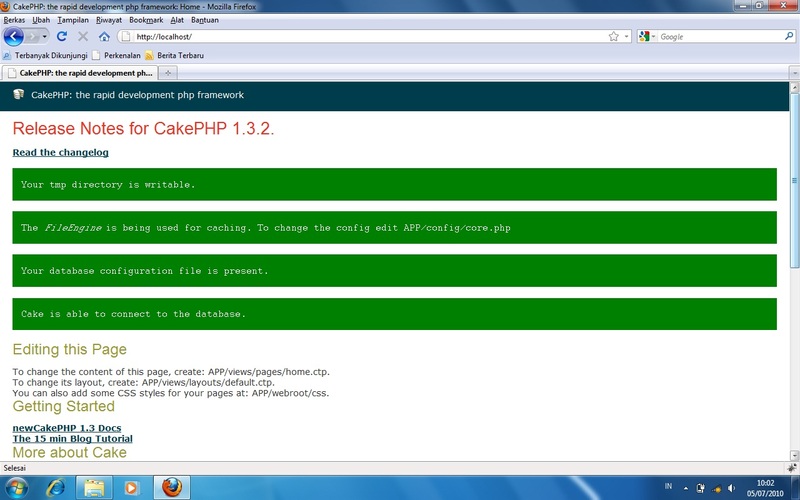 For your information, CakePHP is running natively on Apache web server. It uses Apache mod_rewrite to make pretty URL run properly, and if you see the skeleton of your CakePHP application, there are three .htaccess files containing three different rewrite rules. 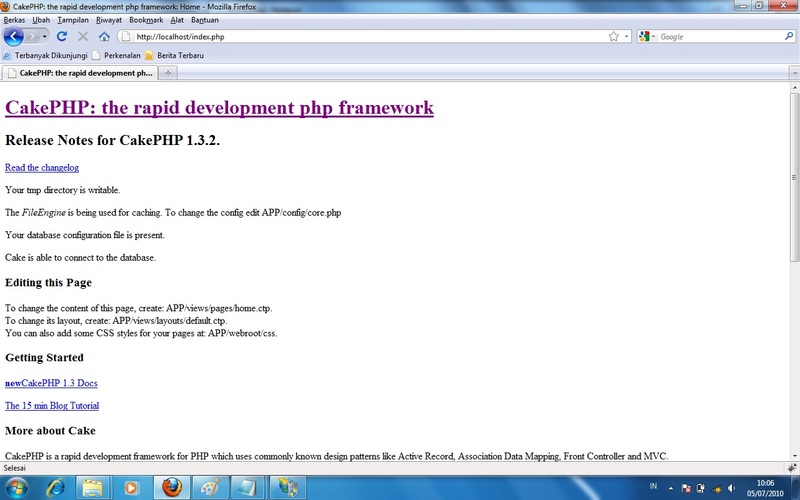 So now, if for some reason you have to put your CakePHP application on IIS (e.g. you are running your application on Microsoft cloud computing platform or your web hosting provider only have IIS as the web server (this is a very rare case :P )), you might think, "Am I still able to use CakePHP pretty URLs?". The answer is simply "Yes!". 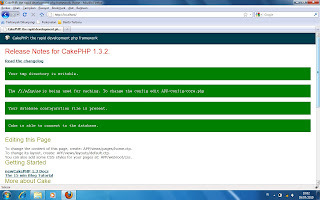 In fact, the CakePHP official page also mention it on http://book.cakephp.org/view/1636/URL-Rewrites-on-IIS7-Windows-hosts. Next, you only need to have little more understanding on Apache and IIS rewrite rules. In Apache, rewrite rules will be handled by .htaccess files that could be placed on each directory of your PHP application, but in IIS, rewrite rules will be handled by just one Web.config file in root directory of your PHP application. Apache and IIS has different syntax and style on defining the rewrite rule. You may read these following resources to understand more about it: http://httpd.apache.org/docs/2.2/mod/mod_rewrite.html, http://learn.iis.net/page.aspx/665/url-rewrite-module-20-configuration-reference/. Both having requirements to execute rewrite rules: In Apache, you have to install and activate rewrite module (mod_rewrite), and so does IIS (you have to install rewrite module). This is an mandatory requirement and has to be done. So, just make sure that in IIS, where you put application, rewrite module has been installed and activated. This following page might be useful for you, http://learn.iis.net/page.aspx/460/using-the-url-rewrite-module/. Finally, after having some basic understanding of IIS rewrite rules and its required steps to activate rewrite module, here is the rewrite rules definition of CakePHP on IIS. Or you may see it in this page http://pastebin.com/Ne8wrWXK (more recommended. esp. for displaying XML closing-tag element). tag of your Web.config file. Within the tag, you may also define another rule beside rewrite rule (e.g. default document). 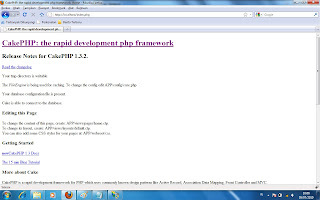 I modified the example taken from http://book.cakephp.org/view/1636/URL-Rewrites-on-IIS7-Windows-hosts, in order to make CakePHP pretty URLs run properly. I was wondering whether the example is just a direct import result of .htaccess into IIS rewrite rules, since there is also a feature in IIS rewrite module to do so. I wasn't successful at my first attempt on copying the Web.config from those samples, and after doing some modifications finally it could be done! You'll notice some differences when you are executing main/root URL of your application after successfully enabling CakePHP pretty URLs.